Are Drones the Future of Medical Air Transport? I read this article and found it very interesting, thought it might be something for you. The article is called Are Drones the Future of Medical Air Transport? and is located at https://hitconsultant.net/2015/04/08/drones-medical-transport-future/. Unmanned aerial vehicles, or UAVs – also known as drones – have long been a topic of conversation among retailers, who hope to use the fast flying technology to deliver packages at record speed. But there are many other options for drones, and some of the most exciting potential applications come from the world of medicine. Drones and Medicine: How Does That Work? Drones are small, rotary wing aircraft that can be controlled remotely or preprogrammed to fly certain routes. They are often powered by lithium batteries, contain sensors that make use of GPS, and feature brushless motors that ensure a longer life for the aircraft. They can be configured to carry a small payload, and might include cameras and communication devices. Most drones can fly for up to an hour, and might have a range of up to 60 miles, according to the Mayo Clinic. When drones and medicine collide, the ideas become rather interesting. Drones have already been used with great success in places like Haiti, where they delivered much-needed aid packages after the 2010 earthquake. In Bhutan, where average road speeds can crawl along at 10 miles per hour, field testing is ongoing with drones that deliver supplies and medications, according to MedDeviceOnline. An in-depth article in the March-April 2015 issue of Air Medical Journal focuses on the many possibilities for the medical world that might open up when medical drones become commonplace. When someone suffers a cardiac event, time is of the essence. Alex Momont, a design engineer at the Technical University of Delft, seeks to bring faster medical care through an ambulance drone that carries advanced life support supplies a layperson can use, including the Automated External Defibrillator, or AED. Once the drone lands, an operator can communicate through a two-way radio and video device. The operator can talk individuals through the use of the AED and other equipment, thus buying precious moments that could save a life. Another exciting option for medical drones is the transport of blood products through the skies. Hospitals that have a healthy supply of blood can run through it very quickly in a mass casualty situation; in some medium-sized hospitals, even the needs of a single patient with massive bleeding can deplete the supply to dangerous levels. Drones could solve that problem by delivering blood products as soon as emergency services are called, thus easing the strain on the hospital’s blood bank. As seen in Haiti, disaster relief and recovery is already a strong testing ground for drones. In the event of a serious disaster, drones could take to the skies with the supplies that are essential to keeping individuals alive and healthy, even for extended periods of time. From medications to tourniquets to water and emergency rations, drones get the supplies there quickly without the agonizingly long wait that can occur when roads are cut off and airports are shut down. Drones are already being used in recovery and rescue missions, to look for those lost or trapped in hard-to-reach places, according to MedGadget. Those who are far off the beaten path might face a very long wait for medical assistance. Individuals who live in very remote areas, hikers or hunters who explore rugged terrain and those working on off-shore vessels might face several days of waiting before help arrives. Medical drones could fly into these remote areas with supplies that are tailored to the situation, such as antivenin for snakebite or easy-to-use supplies for stabilizing broken bones. Medical drones have yet to be extensively tested in the United States. According to GigaOM, current regulations imposed by the Federal Aviation Administration (FAA) require that drone operators hold a commercial pilot’s license, fly the aircraft only during the daytime, maintain visual contact with the drone at all times, and never fly higher than 400 feet. 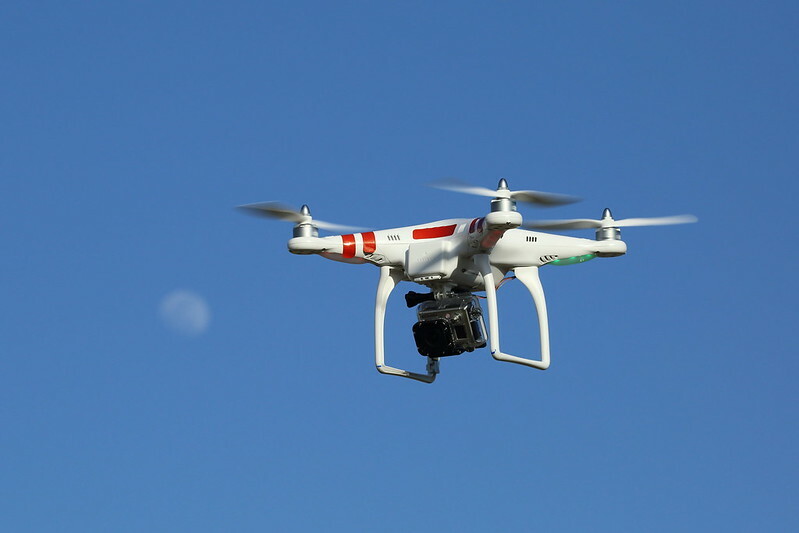 The good news is that regulations are expected to loosen sometime in 2015 as the FAA looks for ways to slowly integrate drones into the National Airspace System. Some suggestions include a certification process that would allow for a drone operator license, and a specialized air zone of up to 700 feet dedicated to drones. When the regulations change, the promising push for drones in the medical field can kick into high gear. Figuring out the regulations is one of the first steps; learning how to mitigate the risks is another. For instance, what if blood products are somehow lost or damaged in transit? What if the drone itself is damaged, and unable to get to the people who need it most? What if pharmaceuticals are delivered to the wrong place, or even intercepted? There is also the question of crowded skies. As the use of drones picks up, there could be hundreds or even thousands of them operating in a limited airspace, all trying to get somewhere as quickly as possible. This could result in collisions or slower transport time, neither of which bode well for individuals waiting on that crucial medical delivery. However, these risks are certainly not insurmountable, and could be strongly outweighed by the benefits of faster and more affordable medical care. As FAA regulations loosen to allow for medical drones to do their jobs and entrepreneurs push for new ways to utilize the technology, we can soon expect a faster, cheaper method of delivery for those things we need most, even during the most crucial moments of an emergency situation.